Starting the season off with friendly games, both the girls and boys varsity basketball teams kicked off to a good start. 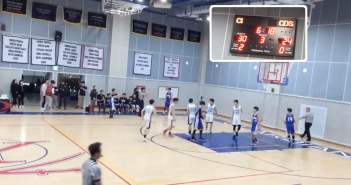 Likewise, the girls and boys varsity basketball team both are currently undefeated, winning all the friendly matches against TCIS and YISS. The varsity girls basketball team won 63-3. The players have been running their team plays, making it easier to shoot more baskets. According to Hannah Kim (12), the team chemistry has never been better. 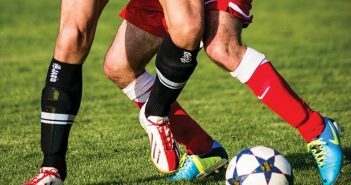 There are more passes between each player and because the atmosphere is great, the players are more eager and excited to participate and win. The varsity boys basketball team also brought home a win with the score of 76-30. As for the boys, the team is also trying to boost their team atmosphere with the new players according to Youn Hwang (10). The main goal for the boys basketball team is to work on their shooting, mainly three-point shots. The varsity girls basketball team brought home yet another win with the score of 42-21. Although SIS won, Chadwick’s stark improvement as a team has labeled this game as one of the toughest games for the girls. Unlike previous games where the athletes focused on winning, the girls focused putting their game plays into action. The varsity boys basketball team also won with 71-50. Although the boys started the first quarter off with a rough start with inaccurate passes and turnovers, the players got together as a team to discuss what they needed to improve on, ending the game with a win. Going against DSS for the second time during the conference, the girl athletes unlike their first game missed several layups and fouled their opponents. However, after a team discussion during halftime, the team came together to win the game. By intercepting passes and successfully making layups and shots, the boys increased the score margin from the beginning of the quarter. During this game, most of the players played the game, going through the rotations and plays. Unlike previous years, the cheerleading team cheers only during home games. However, the cheerleading team this year has three captains, and new cheer stunts to showcase during the halftime. 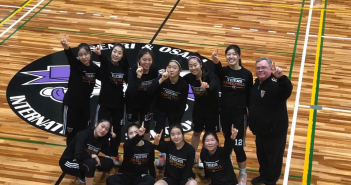 According to Jina Kim (12), a captain of the cheerleading team, wishes to produce good results during competitions as well as cheer the girls and boys basketball teams with enthusiasm. Overall, both teams are excited for future conferences and games looking at their results for the recent games. With team chemistry and uplifted moods, the athletes are determined to end the season undefeated. Aside from the team chemistry, students and athletes are looking forward to the game against KIS on Dec. 5.